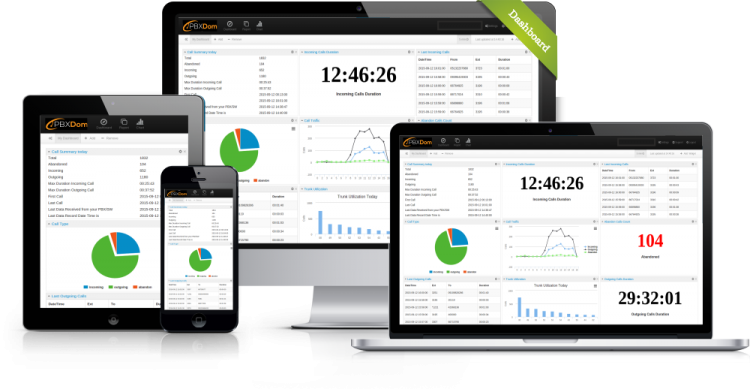 If you are one of our users, you know about the dashboard sharing feature. You can easily create a shareable URL and send it to any of your colleagues in your organization, and they can open it and see what happens on your communication platform. One of the wonderful things about the dashboard sharing feature is all shared dashboards automatically refresh based on the dashboard admin settings. Because of the technology behind the dashboard, you can share your dashboard with 10 people or 100; all of them can see the same things simultaneously. As I mentioned before, you can use that link on your web browser or open it on a big screen on a smart TV to access the dashboard. The shared dashboard is read-only, which means you can’t change anything. If you want to add or remove something, you should ask your admin account to change the dashboard. As may you know, recently Google decided to shut down the Google Shortener service, so we had to find an alternative for that. They said after the shutdown, the old URL will work for a year, but you can’t create new short URLs. We’ve had two options to solve that issue; either make a shortening URL service internally or use an alternative service. After days spent on research, we decided to utilize the second option; yes, using the alternative method. We switched to Bitly as a shortened URL service. 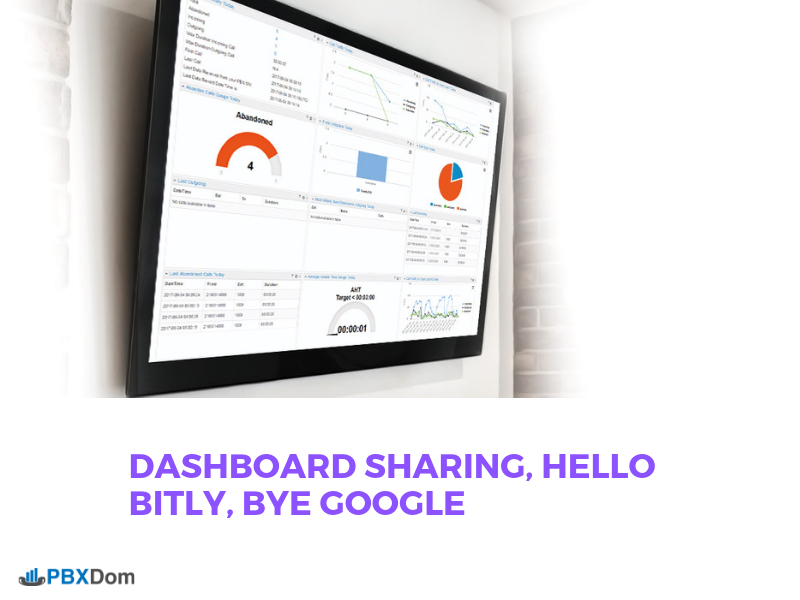 We hope you enjoy the dashboard sharing as much as the old, and also, we apologize for the few hours the dashboard sharing feature was unavailable on Apr 2, 2019. We are always looking to improve our service based on your requests. Please tell us about your needs and requirements, as they will help us to improve PBXDom and make it a more valuable tool for you.